Dwayne Johnson is one of the hardest working people in Hollywood, but he’s also one of the most savvy. 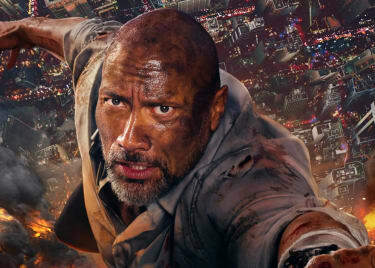 In addition to his work on the Fast and Furious films, the Rock has been focused on reviving properties for the big screen, from Baywatch to Jumanji to Rampage. That’s a tricky task. These properties are weird, even silly, which raises questions about how to bring them back for Johnson’s audience. An obvious option would have been to go darker and more adult. But that doesn’t work for every property – and these films need a different touch. 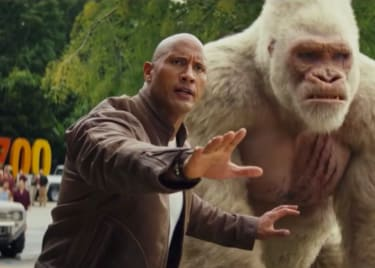 Rampage, like Jumanji and Baywatch, needs to fully embrace its silly nature. 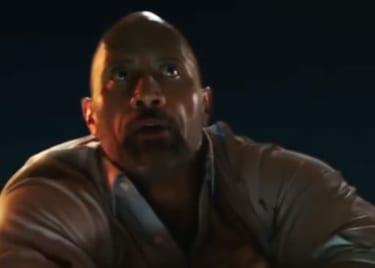 Instead of shying away from what could have been considered outdated or childish, the Rock pushed these films to embrace their cheesy nature and have fun. While that’s a cornerstone of success for these films, another pivotal factor has made Johnson’s recent projects work. Before Rampage opens on April 13, let’s take a look at the secret of these films’ success. Johnson’s recent films never allow their emphasis on comedy and action to overshadow a story’s emotional side. Johnson, with directors like Jake Kasdan and Seth Gordon, gave each movie a compelling emotional core audiences could follow. Baywatch is about an arrogant man who learns the value of friendship after years of being alone and rejected. Jumanji: Welcome To The Jungle explores similar ideas, but with younger characters. Neither of those character angles would work had they not been executed properly. Even in situations that we’ll never experience, the stuff at the core of Johnson’s characters is familiar and relatable. We understand being defensive and closed off, and we understand Johnson’s Jumanji character as he takes the opportunity to be someone he was never able to be before. Those characters make even the craziest story work – each element amplifies the other. Now Johnson’s sights are set on another revival, this time of ’80s video game Rampage, in which players playing as monsters smashed up buildings. 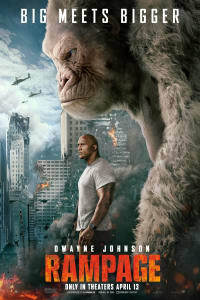 Johnson plays Davis Okoye, who shares a bond with a white gorilla named George. An experimental gas causes George and a few other animals to mutate into giant beasts, and Okoye tries to save the world while keeping his friend alive. As a game, Rampage didn’t have much of a story, and this premise puts the game’s situation front and center. (Monsters plus city = mayhem.) During an interview with IGN, director Brad Peyton said one of his main goals was to make the film as fun as possible. Rampage isn’t letting its sense of fun run rampant over its emotional side like a giant gorilla ready to smash. The focal point is still the relationship between Davis and George. If they nail that Rampage should be another success for Johnson – and another example of what adaptations can do when they’re not afraid to build real emotional situations onto lighthearted premises.